Coming to a small church for the first time is an act of great vulnerability. So it’s important to do the personal things well. That’s one of those truisms that’s actually true – in church and in life. One of the hallmarks of healthy churches is that they work hard at making a good first impression. Helping guests make the leap from staying at home to being glad they came is essential. That’s much more likely to happen when they experience friendly people, helpful directions, easy-to-understand language and other expressions of love and care. First impressions are so important that they’ve become a central part of today’s pastoral training, including the inaugural First Impressions conference that I was honored to speak at this week. With more conferences coming soon. This article is a shortened version of that talk. 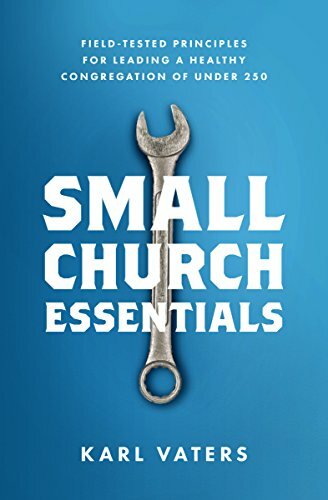 Making a great first impression at your church is not about size or money. And it’s not about marketing or consumerism. It’s about caring for people. This doesn’t happen automatically, or even easily. It takes training, preparing, recruiting, and more. The good news is, none of that costs money. It just takes the commitment to follow through. Greg is 100 percent right. Doing ministry with excellence will overcome any other deficit you may have, from your size to your resources to your facility (or lack of one). This is especially true in first impressions, because greeting newcomers is all about the personal touch – and that’s what small churches can and should excel at. Being small is no excuse to do First Impressions poorly. In fact, it may be more important in a small church. Coming to a small church for the first time is an act of great vulnerability. After all, it’s easy to walk into a room of hundreds or thousands. Everyone knows what to do as a member of a large audience. But what do you do when you walk into a church of 50 or 20? Sit alone in an empty room until the service starts? Walk up to strangers and interrupt their conversations? It’s bad to go to an unfriendly big church. But an unfriendly small church is brutal! There are a lot of reasons people go to a big church. Maybe they want to hear from a preacher they’ve heard about, be led by a worship leader they’ve listened to, and so on.